This year, one of my New Year's Resolutions was to stop biting my nails. After a few weeks of no nibbling, I was a bit disappointed to see that my nails hadn't really grown at all. 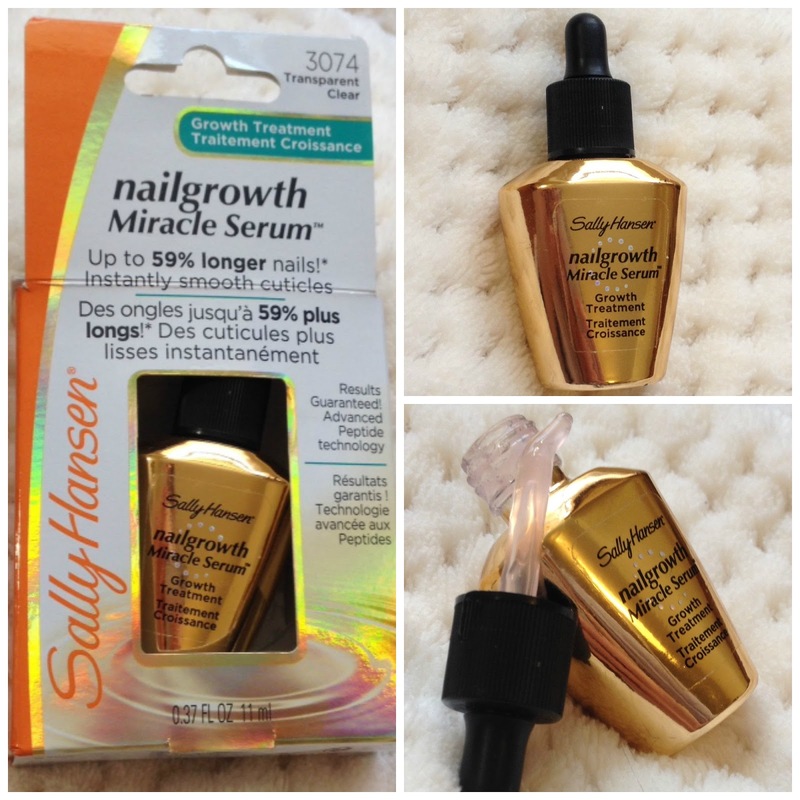 I am probably to blame after biting them for all these years, but I thought I would try one of the Sally Hansen Nail Growth treatments before I gave up hope of ever having beautiful natural nails. I have been using this treatment for around two weeks now and thought it was about time I reviewed it! Up to 59% longer nails. This concentrated Peptide Serum formula with Biotin supplements supports natural nail growth without brittleness. Nails become resistant to damage. I'm personally not a fan of the shiny gold packaging, but I love the syringe applicator which I think is a nice alternative to a standard nail brush. Rather than brushing the formula on, you place a drop on your nail near your cuticle and massage in, which I think has helped to really hydrate my nails better than a brush would. My cuticles are much smoother and my nails feel really healthy, hydrated and nourished. I'm not completely sure if my nails have grown 59% - this is a little precise for me to judge! but my nails are so much stronger and just look so much better. I find that they are chipping or breaking less because they are so much stronger and I have little white tips for the first time ever. Overall I'm really happy with my purchase and will probably buy again. This retails at about £9.95, but I picked it up in Superdrug with my NUS Student Discount card so paid just under £9 for it. Mine are the same, without this they break so easily! Might give the strengthening one a go next time then, thanks!